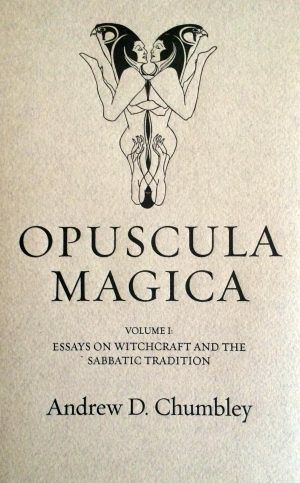 The Opuscula Magica treats in four volumes the short exegetical works on magic by the British occult author Andrew D. Chumbley (1967-2004). 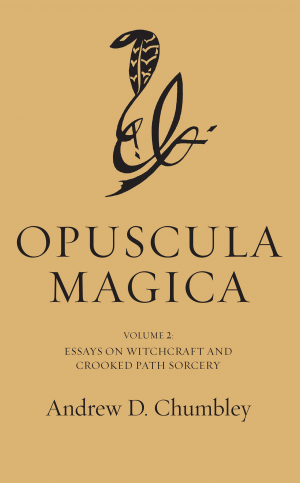 The series presents his magical essays, homilies, and other obscure works which originally appeared in small-circulation occult journals now out of print. Each volume presents a series of collated works, some revised or updated prior to his death, as well as a number of writings and illustrations previously unpublished. Together with his grimoire-texts of the magical order Cultus Sabbati, these ‘minor works on magic’ are the origination-point and foundation texts of Sabbatic Witchcraft and Crooked Path Sorcery, two of Chumbley’s most important contributions to the Art Magical. With the intent to make these works more widely available to scholars and magical practitioners, the series is printed and bound in a fine book format suited to their study and preservation. The series editor is Daniel A. Schulke.